Joyce Taylor grew up on the banks of the Severn in the years during and after the Second World War. 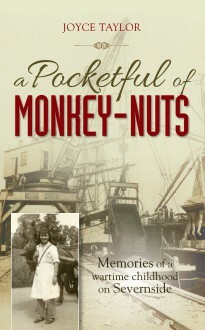 Her home town of Sharpness was then a thriving port with cargoes arriving from all over the world on every tide, and as the daughter of a docker, she had only to look at her father’s clothes when he came home from work to see what the latest ship had brought in, from flour and timber to chocolate, grain, nuts, sugar and fruit. As Joyce grew up she was expected to pull her weight around the house looking after the goats and hens, and by the age of seventeen she was delivering milk to outlying farms and cottages in all weathers using a pony and trap. Now entering her 80s, Joyce has painted an enchanting portrait of family life in a rural English community in the 1930s and 40s.